It’s fashionable to complain that no one can make a living writing, or that self-publishing is for hobbyists only. In The Business of Being a Writer, Jane Friedman begs to differ. She knows a great deal about the publishing industry, and in this book she suggests that you can make a living, but only if you approach it like a business and think creatively about your income and your time. If you’re struggling to make a living with your writing, make room on your bookshelf for this invaluable guide. 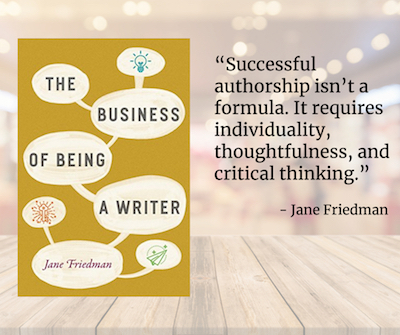 If you worry about whether you can support yourself with writing, pick up Jane Friedman’s new book, The Business of Being a Writer. It’s filled with wise, practical, and compassionate advice for writers of all types, by the always-generous Jane Friedman. Reading it is like having a smart, experienced mentor in your corner. When I heard Jane speak at a writing event recently, she suggested that the core audience for this book is the fiction writer. Indeed, those writers will find important insight about pursuing an MFA or other graduate degrees, teaching, literary agents, and more. Each section works well on its own. Read them together to develop a realistic view of how authors and other writers can support themselves and thrive in today’s market. 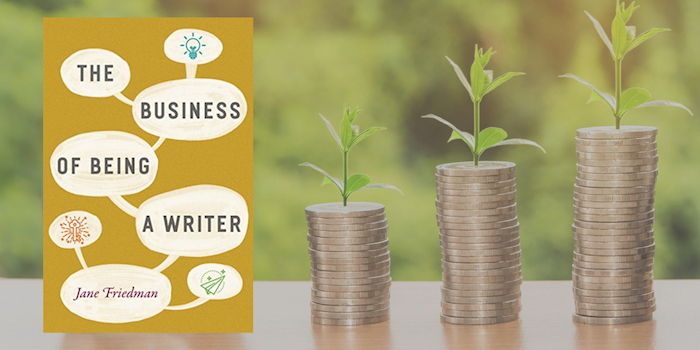 In particular, the book will open your eyes to options for crafting a business that supports your writing. It covers everything from affiliate income, teaching, freelance editing, freelance writing, crowd funding, and more. Literary citizenship: Friedman writes of the importance of literary citizenship activities that sustain the community to which you belong. Writers at any stage of their careers can cultivate literary citizenship by sharing the work of others, writing reviews, and building relationships. Treat it like a business. Invest your time, effort, and sometimes money to bootstrap a successful writing life. It may not be as glamorous as your dreams, but it’s possible. Use this book as a guide. Thank you so much for the thoughtful review, Anne. You’ve highlighted some of my favorite points!